Our English Program is rigorous and covers language conventions, reading comprehension and story writing based on visual and non-visual stimulus. Students are taught how to interpret texts and stories to answer literal and inferential reading comprehension questions. 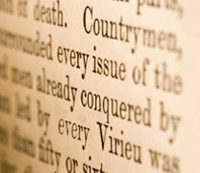 Language conventions, which include grammar, punctuation and vocabulary, are also emphasised throughout the course. We also impart writing techniques including teaching of ‘parts of speech’, writing frameworks, how to write an attention-grabbing introduction and good conclusion. 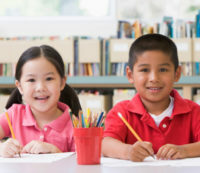 Persuasive writing techniques are taught in the form of framework with lots of practice in line with the Education Department’s emphasis on such writing style. Summary and report writing as well as editing skills are also incorporated in our English writing course. All these lay the foundation to excel in NAPLAN, ICAS, PEAC and GATE tests. Finally, we have a short test towards the end of the term in a non-threatening manner to provide progress feedback to parents. 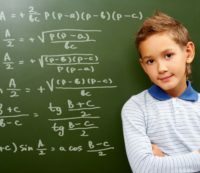 Our Maths Program is individualised, self-paced, structured and comprehensive, covering all the important Mathematical concepts and skills to help children to understand and enjoy Math. An individualised program based on a diagnostic test is drawn up for your child. Our teachers will explain the concepts and supervise your child when he/she attempts the worksheet questions. While students are encouraged and expected to cover 2 to 3 topics over a term, some students may take a longer time to achieve mastery of the topics and are given more practice questions. Students who are advanced are not held back as they are placed in the Accelerated Program with more challenging and higher-order questions that help them to excel in the GATE, NAPLAN and ICAS tests. A short test covering topics covered in the term is administered at the end of the term to provide progress feedback to parents. Due to the individualised nature of our program, we are able to provide advanced students an Accelerated Program so that they are sufficiently challenged and thus motivated to master English or/and Maths. The Accelerated Program includes more challenging questions, which requires deeper thinking and analysis, over and above the regular program. The Accelerated Program also includes teaching students advanced topics beyond their year level. Students who are in these programs have been successful in GATE, selective schools, NAPLAN and ICAS. Parents can expect a rigorous program for both English and Math with end of term tests for advanced students and regular course students to document their children’s progress.